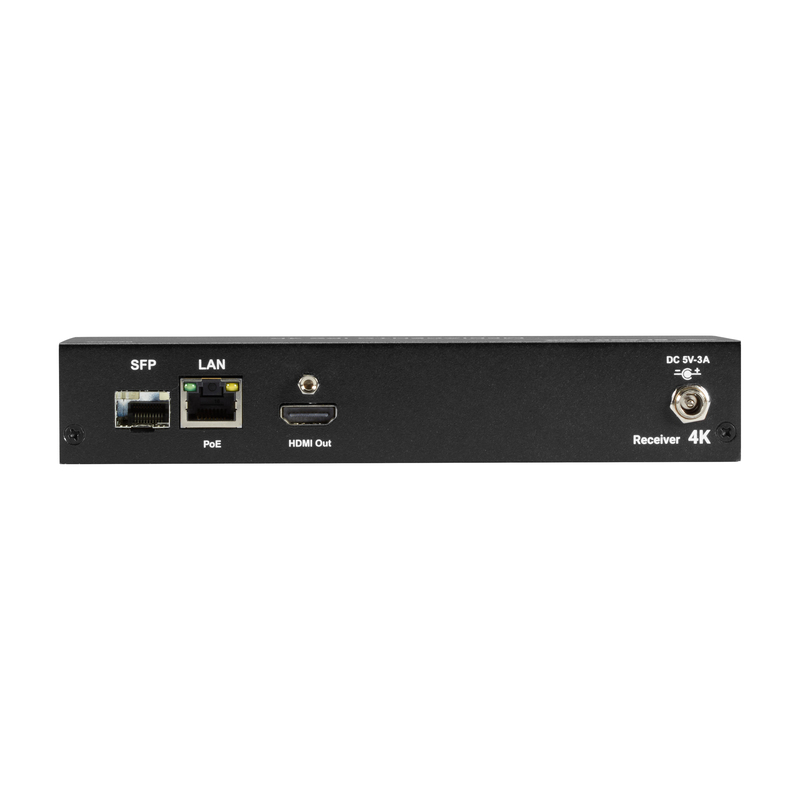 Better 4K AV-over-IP extension, switching, and video walls. 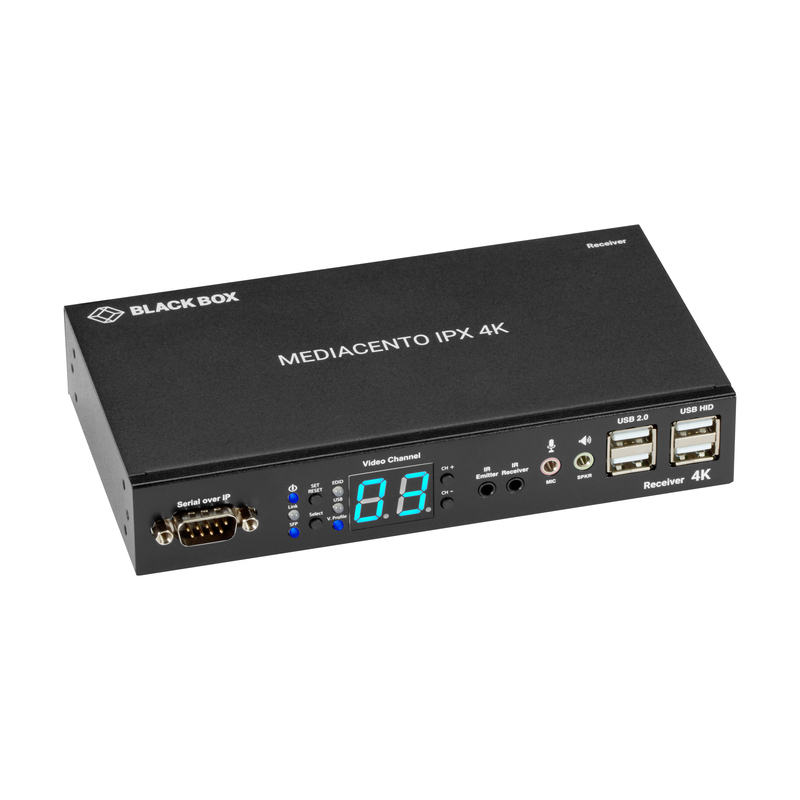 Better video: supports up to 4K UHD (Ultra High Def) 4096 x 2160 @ 30Hz and 1920 x 1200 @ 60 Hz and all 3D formats. 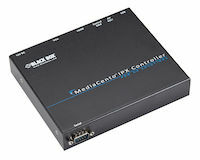 Better control: USB 2.0, bi-directional IR and serial. 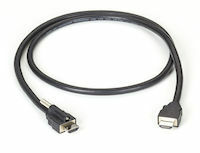 Any source to any screen—over IP. 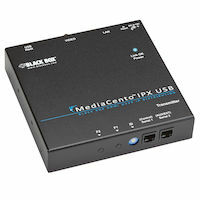 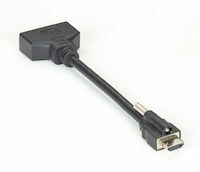 USB 2.0 and USB HID support supports touchscreens and KVM capabilities. 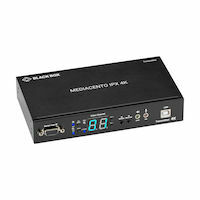 The MediaCento IPX 4K Unicast system transmits up to 328 feet (100 m) point to point, but goes even further with a network switch added to the mix. 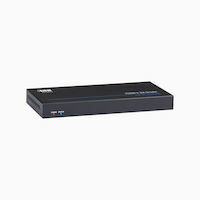 Transmit over CATx cable or single-mode fiber cable. 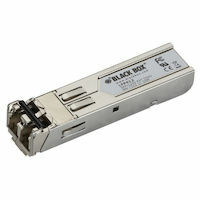 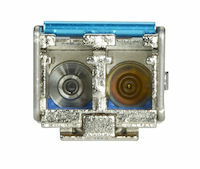 Compatible SFPs include LFP411, LFP312, LFP413, LFP414 and LFP418. 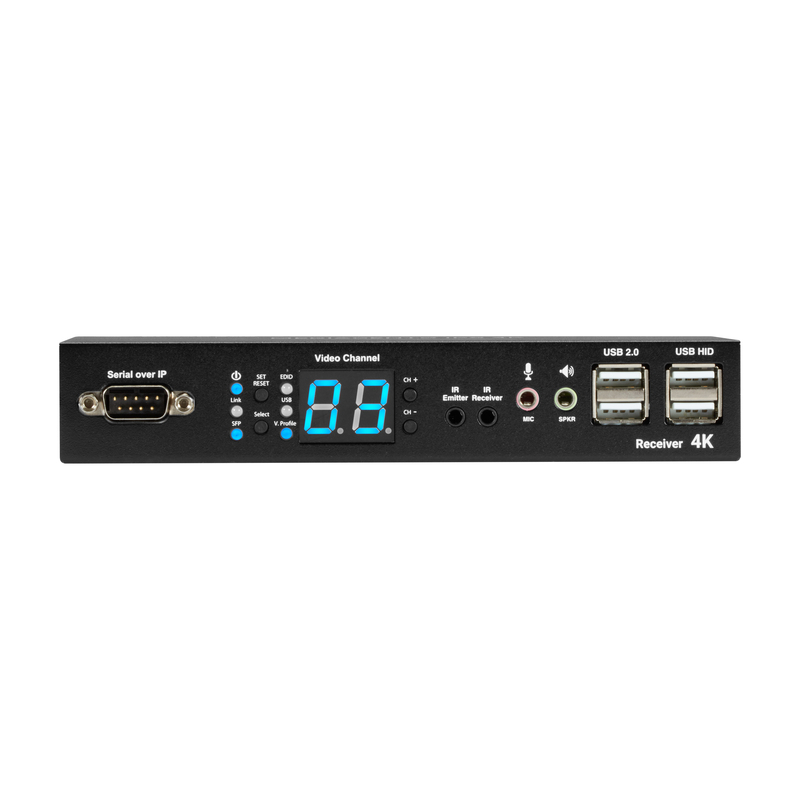 The MediaCento IPX 4K Receiver HDMI USB Serial IR Audio comes with a standard 3 Year Double Diamond™ Warranty (Standard) already included.